You’ve spent hundreds, perhaps thousands of dollars on professional services, and they’ve redesigned your entire site. You now have a beautiful design. Your content looks great, your links are climbing nicely, and you’re ranking for some of your terms at number three. Top o’ the world, ma! So why are you getting low, or no, Return on Investment (ROI)? It could very well be your landing pages. “Wait,” you say. “I don’t have any landing pages.” And you’d be dead wrong. The fact is, while many thinking of landing pages as those focused-on-conversion, single-purpose-with-testimonials, no-menu pages as landing pages, the reality is a lot less (and more) complicated. The reality is that every site has a landing page, every page on your site is a landing page, and every page could convert. 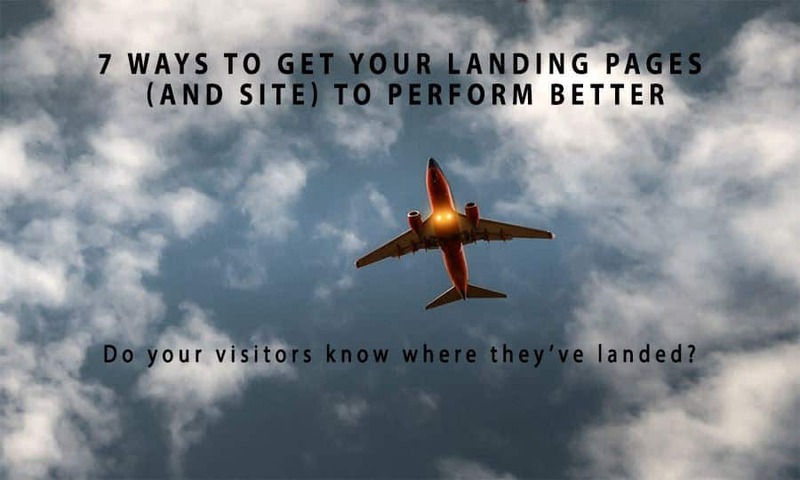 Landing pages are the pages your visitors will arrive on when they visit your site. So, for example, if I were to see your Contact Us page in the SERPs and click on the link, your Contact Us page would be a landing page. The thing is, just like one of the preferred landing pages mentioned above, you still want your visitors to stick around and actually perform a task: sign up for a newsletter, purchase an item, participate in a survey, etc. You want to convert their interest into something profitable for yourself. There are several types of landing pages. Different marketers will point to different layouts or designs depending on their preferences, or what their professional experience has shown. However, there are two main types, and it’s important to know the difference. Reference pages deliver relevant information to the visitor and is generally connected to other areas of your website. These pages could be any page on your site, from the FAQ to the About Us or a blog post. Transaction landing pages are the streamlined ones mentioned above – the ones that most people picture when “landing page” is mentioned. It’s set up in such a way as to immediately draw the visitor to your call-to-action. How Do You Get Your Landing Pages (And Site) To Perform Better? Your landing page, whichever type it is, has two main goals. The first is to attract visitors to what you’re selling. The second is to get them to perform your call-to-action, which could be clicking a link on your website, ordering a product, or any number of things. 1. Make sure the headline is directly related to the search term. It’s easy to sensationalize a search snippet title and then have something that doesn’t match once they get to the page. It happens all the time. However, not only are the Google algorithms getting wise to that sort of thing, your new visitors will not be appreciative. No matter what link your visitors are clicking, whether it’s the SERPs, PPC or an ad placement somewhere, make sure your headline coincides, so they know they’re in the right place. 2. The less navigation, the better. We’ve seen numerous website menus that had every page on the site – or at least, that’s what it looked like. The problem is, the more navigation items available in your menu, the more likely it is that your visitors will get confused at where to go. It sounds like it should be the other way around, but it isn’t. Use your navigation menu as what it sounds like – a map to reach the most important pages of your site. Make sure the pages that end up on it are absolutely necessary to have. 3. Keep graphics streamlined and relevant. Don’t put pictures on a page just to have pictures. At the very least, make sure any photos go along with the content. Use them to carry the eye down the page, not just to bring color and jazz to a boring piece of copy. 4. Try to use to-the-point bullets instead of paragraph copy. More and more people are becoming scanners. “Read?” they ask. “I don’t have time to read!” This is why copywriters use bullet points (or short sentences and short paragraphs): to keep the content flowing and scannable. As an extra tip, the other trick is what I’ve done here. Instead of bullet points, you can use the sub-headings as would-be bullet points for the scanners and add in depth content for the readers. Two birds with one stone. 5. Don’t ask for more than you need. Have you ever had a form ask you to share information that made you wonder why they needed it? After all, you’re just downloading a pdf, right? Why do they need your address and the name of your first child (or dog)? The next time you make a form for visitors to use, remember that uneasy feeling. If you don’t need the information, don’t ask for it. There’s time to gather more information later, once your mailing list is already put together. 6. Don’t use generic or broad-topic pages. 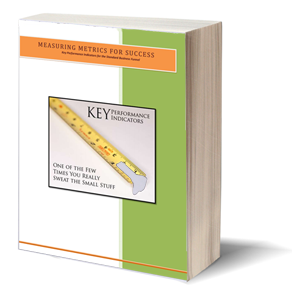 If you think of every page as an infomercial about your product or service, it might help. Infomercials are wholly focused on their particular sale. Each page on your site should be the same – tightly focused on the subject at hand. This blog post, for example, is focused completely on landing pages. 7. Put the most important information at top of the screen, before the break. There are several ways to create a landing page. There are several ways to build a site. There are also several ways to increase your landing page conversions, some of which are shared above. The key, no matter what kind of site you have, or who your target market is, is the make sure your conversion points are recognizable. If I can’t tell what you want me to do, or I can’t see how to do what I want to do, I’m going to go somewhere else. I don’t want to spend my precious time searching for a way to do something. You can follow every one of the 7 points above on creating a stronger landing page and still fall short if they can’t see what they’re supposed to do, or how to do what they want to do. With a visible, clearly-defined call-to-action, you’re already halfway home to higher conversions.